Dutton Children's Books, 9780525479000, 32pp. 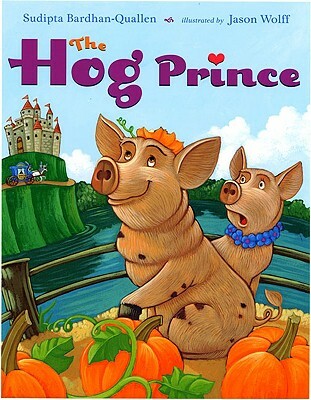 When he learns from a mixed-up fairy godmother that his true love's kiss will transform him from dirty hog to pampered prince, Eldon smooches anyone in sight. But what if true love has been waiting under his snout all along? Kids will crack up at the disgusted reactions of their favorite fairy-tale princesses when Eldon gives them a juicy smack. Sudipta Bardhan-Quallen lives in New York City. Jason Wolff lives in Virginia.